From offices to schools to homes, signs are everywhere! No, we’re not talking about street signs and warning signs. And, while we love each sign equally, we are talking about custom and stock engraved signs to help your business and home run smoothly. Displaying information in an office or store can significantly increase productivity and customer relations. Provide directions or give meaning to organization with a simple, stock sign. Or, create your own unique style with a custom sign. Add text and graphics for a truly one-of-a-kind style for your business. Office signs are perfect for directions and instructions for every business and office are available to meet the unique needs of your company. 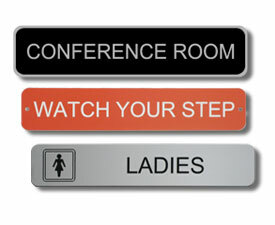 Use wall and door signs to direct clients and customers to the right place. 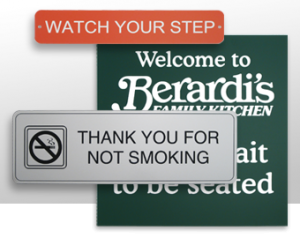 Use a warning or instructional sign to let everyone know of hazards and policies. You select the size, text color and graphics. From creative kid signs to useful kitchen and laundry room directions, custom signs just became your best friend for your home. Provide washing instructions in your laundry room. Or, give specifics on how to use kitchen appliances. 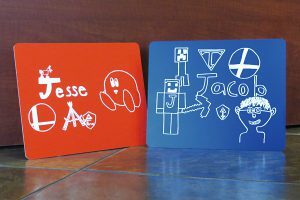 And, let your kids participate in the designing of each custom sign. Their imagination is sure to make your sign not only unique but also something you will hold onto for the rest of your life. Or, make a custom sign for someone you love with special sayings, quotes and so much more! Put one of these into a frame and give them as a gift. 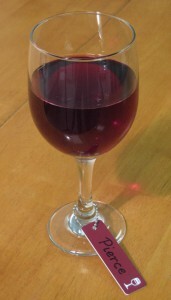 Perfect for birthdays or holidays such as Mother’s Day and Father’s Day. These special and unique signs are sure to please the hard-to-buy-for person on your list. So, no matter your signage needs, we’re sure to have something that fits you, your business and your budget! From a classroom to the office, name tags are for everyone! Even though most adults don’t get a summer vacation or break, there are still many reasons to celebrate the kids going back to school. From new clothes to a spa day for you after your little ones get back to their education, there are many things to do and get for yourself. But don’t forget your office. Whether it’s a corporate or a home office, why not treat yourself to a little something special while you’re treating the kids? We have several products to give you a refreshing start to your back-to-office experience. Make your desk shine with a new acrylic desk block or executive desk wedge. Quality desk wedges show that you have set a level of excellence for yourself that goes above and beyond average. And, the thick desk blocks command attention and stand stably by themselves in any office. 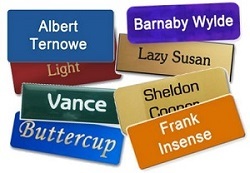 Each of these fancy name plates looks great on a desk, bookshelf or anywhere else you would like to display them. Give yourself the gift of literacy with a custom plaque or sign. 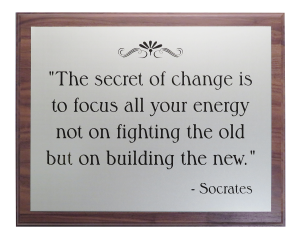 Update your office look with a new sign or custom plaque. 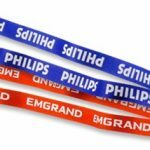 Customize either product with nearly any message you can think up. 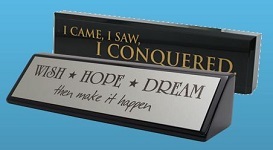 Add your favorite quote with a suitable graphic to a plaque to hang on your wall. Or create a custom sign to hang on your door so others can enjoy it as well. But, no matter your wording or literary choice, remember that each of these products is just as unique as you are. Here’s to having fun on your first-day-back with adhesive badges! While they don’t quite seem suitable for an office, don’t underestimate adhesive badges. They can be tons of fun to play a couple of quick office games. Write down fun nicknames for everyone around you. 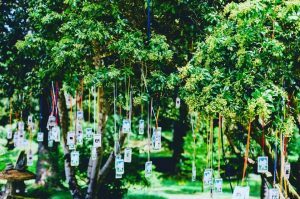 Then, offer them up as a playful way of reconnecting after a weekend away from each other. 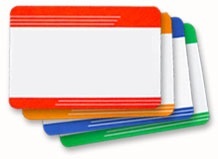 Or, take these badges to your next company meeting and use them for ice-breaking games. No matter how you choose to use these fun stickers, they are sure to help with office communication. So, whichever product you choose to spoil yourself with, remember that even though the kids are going back to school, you deserve a treat too!